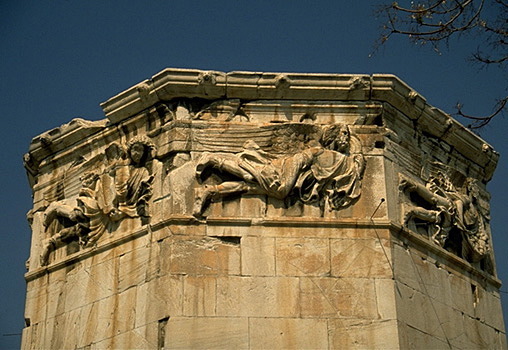 The Tower of the Winds (Horologion of Andronikos of Kyrrhos). 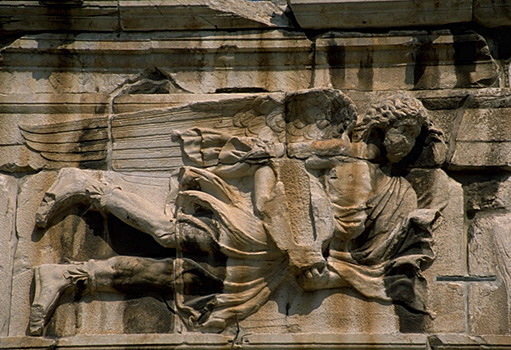 Notos (S wind). Since this wind brings rain, he pours out a jar of water.